Ethyl Acetate, Cellulose Acetate Butyrate, Butyl Acetate, Isopropyl Alcohol, Acetyl Tributyl Citrate, Adipic Acid/Neopentyl Glycol/Trimellitic Anhydride Copolymer, Acrylates Copolymer, Hydroxyethyl Acrylate/IPDI/PPG-15 Glyceryl Ether Copolymer, Trimethylpentanediyl Dibenzoate, Ethyl Trimethylbenzoyl Phenylphosphinate, N-Butyl Alcohol, CI 60725. 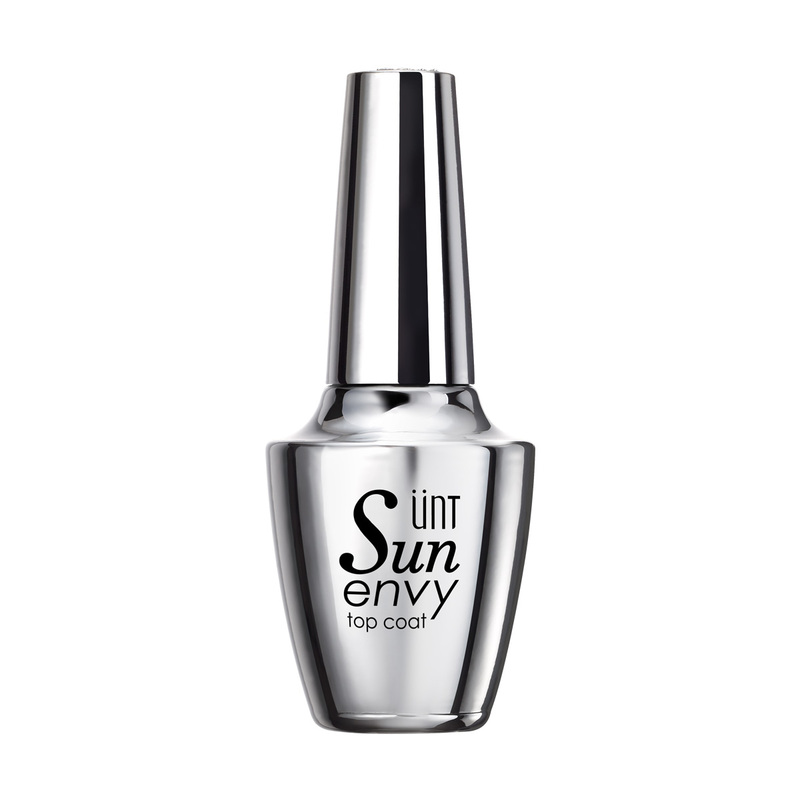 Prep with Sun Envy Base Coat to strengthen nails, and allow to dry for 3 minutes. Apply Sun Envy color and cap free edges, then let dry thoroughly. Finish with Sun Envy Top Coat for best get-like effect. Avoid stuffy environment while applying nail polish; kindly be recommended using in an indoor area with good ventilation. [ WARNING ] External use only. Immediately stop using if discomfort occurs. Keep out of reach of children. Keep away from direct sunlight and heat. Color representation may vary slightly from the actual product due to different monitor settings on individual computers. Please refer to actual products.